Six men and two women have been convicted of exploding two IRA car bombs in London in March this year. All eight were active members of the Provisional IRA. A ninth defendant, 18-year-old Roisin McNearney, was acquitted. One person died and almost 200 were injured in the two bombs. One blew up outside the Old Bailey criminal court, while the other went off outside Scotland Yard. The 10-week trial at Winchester Crown Court has seen some of the strictest security precautions in British legal history. The court was heavily guarded throughout, and as the verdict was delivered, four rows of plain-clothes detectives sat bethind the dock and at least 15 prison officers surrounded the defendants. All doors to the court were bolted. First, the jury returned a not-guilty verdict on Roisin McNearney, a known IRA activist who is believed to have helped the police identify the other conspirators. As her verdict was handed down, the other defendants began to hum the Dead March from Saul, and one threw a coin at her, shouting "Take your blood money with you" as she left the dock in tears. A number of threats have already been made to members of her family and she has said she is unlikely ever to be able to return to her native Belfast. As the eight guilty defendants were led to the cells below the court several gave clenched fist salutes to relatives and friends in the public gallery, who shouted "Keep your chins up" and "All the best". The judge then addressed Miss McNearney, saying, "You have learned a bitter lesson and I hope it has taught you and others like you not to dabble in murderous enterprises." He then ordered that she be given police protection. The two women defendants, Dolours and Marian Price, were believed to have played the most important role in the conspiracy, along with a third defendant, Hugh Feeney. All three were student teachers in Belfast. The other conspirators were Gerald Kelly, 19; Robert Walsh, 24; Martin Brady, 22; William Armstrong, 29, and Paul Holmes, 19, all from Belfast. A tenth person, William McLarnon, 19, left the dock on the first day of the trial after pleading guilty to all charges. The eight conspirators were jailed for life, and almost immediately began a hunger strike, demanding to be transferred to prisons in Ireland. The four ringleaders - the Price sisters, Gerry Kelly and Hugh Feeney - continued their strike for several months, force-fed by prison authorities. They were finally transferred to Irish jails in 1975. Marian and Dolours Price were released from jail early on medical grounds, both suffering from anorexia nervosa. Marian Price now chairs the Irish Republican Prisoners Welfare Association and is active in the political wing of the Real IRA, the 32 County Sovereignty Movement. Dolours Price married Protestant Republican actor Stephen Rea. 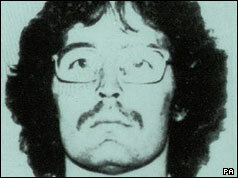 Gerry Kelly escaped from the Maze Prison in 1983, but was recaptured in 1986. He was a member of Sinn Fein's negotiating team for the Good Friday Agreement, and also served as a Sinn Fein Assembly Member for North Belfast in the Northern Ireland Assembly. Hugh Feeney spent time in America working for the Irish Republican Movement after his release from prison. Roisin McNearney was given a new identity so that she could not be traced.